As you drive through Hidden Lake you will see that the architectural theme of the home designs has an English and French country feel with the use of brick and stone for the exteriors. To maintain this elegant appearance, each home built at Hidden Lake must comply with the Hidden Lake Architectural Guidelines and be approved by the developer, Green Oak Properties, Inc.
ON WATER HOME SITES: We’ve saved the best for last! 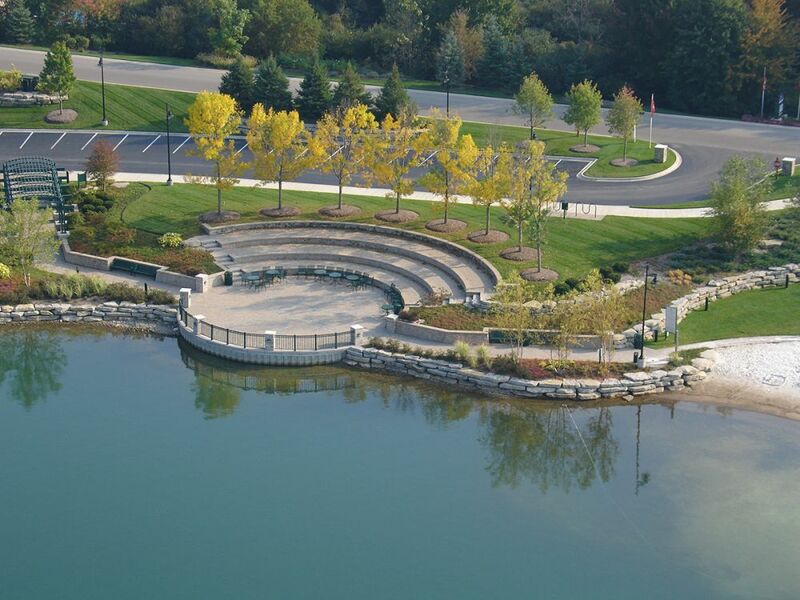 All lake lot sites are walkout sites and range from 1/3 to 1/2 acre in size. These lakefront sites are permitted to have a dock at the water’s edge if the home owner desires. Sites Starting at $255K. OFF-WATER PERIMETER HOME SITES: Builder Spec Homes Available - the perimeter home sites of Hidden Lake have the largest range in sizes from 1/2 acre to 1+ acre. These sites are perfect for sprawling ranch-style homes, larger estate homes or those looking for a large back yard to accommodate an in-ground pool or playscape for the kids. Purchasers may choose one of the pre-approved Builders at Hidden Lake or submit a builder of their choice for approval. 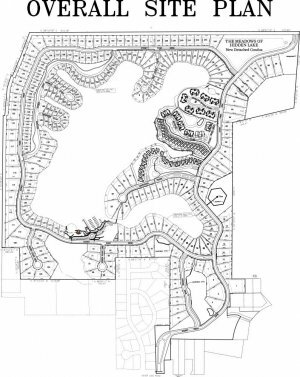 Green Oak Properties, Inc. as Developer has sole approval of all builders at Hidden Lake.